The Xperia XZ1 and XZ1 Compact are both powered by Qualcomm’s Snapdragon 835 processor and ship with Android 8.0 Oreo. 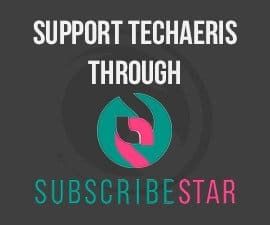 IFA 2017 may have come and gone, but there was plenty of news to go around and we’re still sifting through it here at Techaeris. On that note, Sony announced three new Xperia smartphones at IFA 2017 last week: the Xperia XZ1, Xperia XZ1 Compact, and the Xperia XA1 Plus. 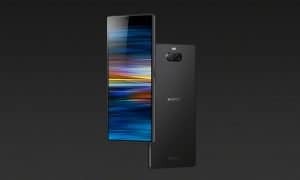 The Xperia XZ1 and XZ1 Compact are both powered by Qualcomm’s Snapdragon 835 processor, take advantage of Sony’s Motion Eye camera technology, offer 3D scanning, premium S-Force Surround Sound and Hi-Res Audio, as well as ship with Android 8.0 Oreo. In addition, the Xperia XZ1 includes a 5.2″ Full HD HDR display while the XZ1 Compact features a 4.6” HD display. 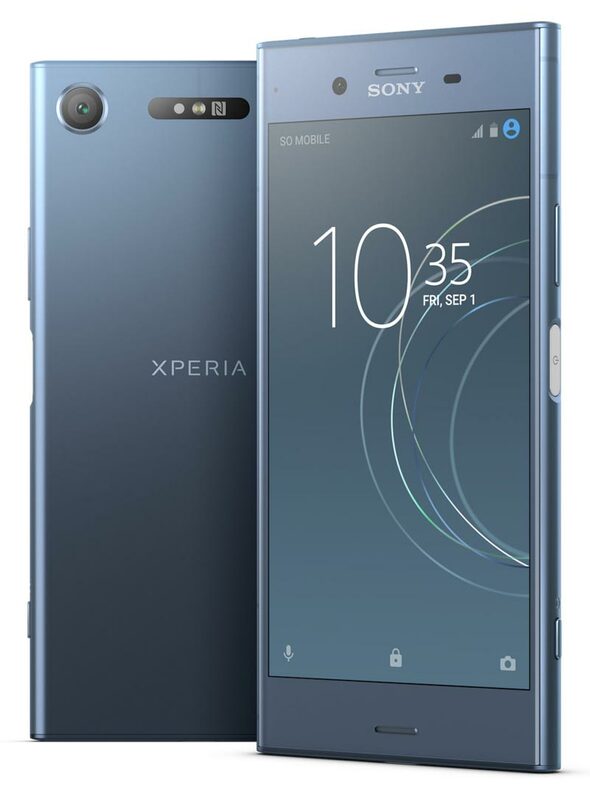 Sony Xperia XZ1 in Moonlit Blue. Flash memory: 64GB Universal Flash Storage, Up to 256GB SD card support. 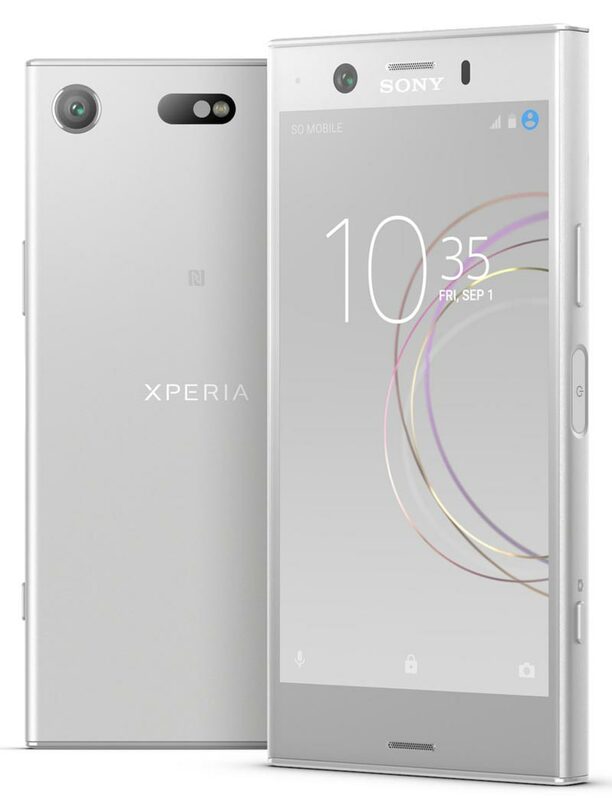 Sony Xperia XZ1 Compact in White Silver. Flash memory: 32GB Universal Flash Storage, Up to 256GB SD card support. The Xperia XA1 Plus joins Sony’s “super mid-range” family of devices and features a MediaTek Octa Core processor, 5.5” Full HD display, 23MP camera, and large battery. 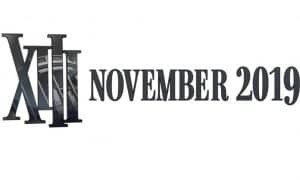 As of yet, pricing and availability have yet to be announced. Check out the full press release below and let us know what you think about the new Sony Xperia devices in the comments below or on Google+, Twitter, or Facebook. Xperia XZ1 offers immersive entertainment and content creation innovations through Sony’s groundbreaking Motion Eye™ camera with Super slow motion video, 19MP Autofocus burst, pioneering 3D Creator feature, 5.2” Full HD HDR display with streaming HDR video compatibility, and premium audio experience with S-Force Front Surround Sound and dual front-facing speakers. Qualcomm® Snapdragon™ 835 Mobile Platforms for smooth performance and super-fast download speeds[i]and will launch with the latest Android 8.0 Oreo™ operating system. 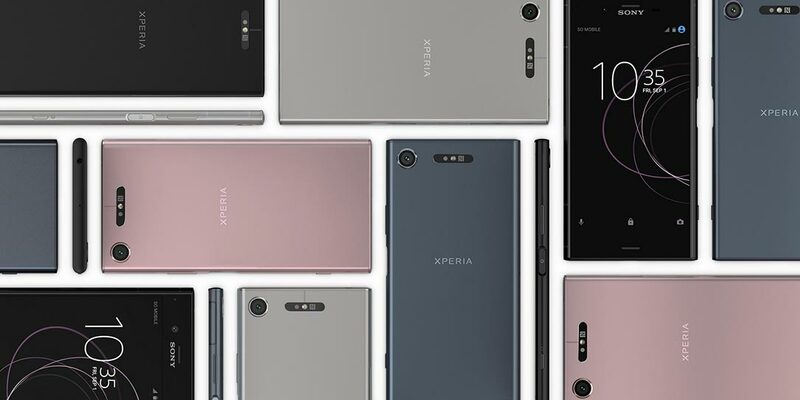 Toronto, August 31, 2017 – Sony Mobile Communications (“Sony Mobile”) today announced two additions to its flagship family, Xperia XZ1 and Xperia XZ1 Compact. 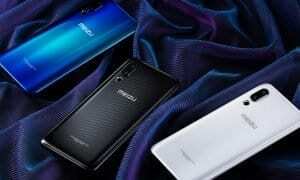 Both smartphones incorporate the latest Motion Eye™ camera for capturing detail beyond human eye capability and feature 960 frames per second (fps) Super slow motion video, new groundbreaking technology for mobile with 3D scanning, class-leading display technologies for beautiful on-screen images (including HDR display for Xperia XZ1 only), and a premium listening experience with S-Force Surround Sound and Hi-Res Audio. Wrapped in a timeless premium design, Xperia XZ1 and Xperia XZ1 Compact both combine advanced processing power with super-fast download speeds and are launching with Android 8.0 Oreo™ out of the box. Building on Sony’s traditional strengths in camera, visual and audio innovation, the Xperia XZ1 takes another step forward as the premier smartphone for fans of entertainment and content creation. It all starts with the camera. As introduced in Xperia XZ Premium, the camera on Xperia XZ1 comes equipped with Sony’s exclusive Super slow motion video capture, courtesy of the Motion Eye™ camera system. Built using know-how fromSony’s ‘α’ and Cyber-shot™ camera ranges, the Motion Eye system consists of a powerful 1GB memory-stacked camera sensor that processes images five times faster than conventional cameras found in other smartphones. 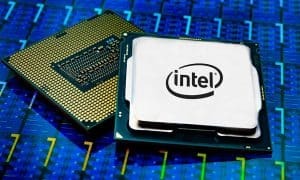 This, in turn, provides the ability to create incredible Super slow motion videos at 960 fps, which is four times slower than videos captured on other smartphones[ii]. A new feature of the Motion Eye camera on Xperia XZ1 is Autofocus burst, which is an enhanced Predictive Hybrid Autofocus with rapid-fire burst capability that captures continuous motion at 10 fps while remaining in focus at 19MP resolution. The updated camera also introduces 3D Creator, a breakthrough in mobile innovation and creativity. 3D Creator is Sony’s unique in-house algorithm for fast and easy scanning of 3D objects, offering a new world of creative possibilities. For the first time ever in a smartphone, users can capture high-quality 3D scans of objects in just one minute using the four scan modes: head scan, face scan, food scan and freeform scan. Each mode has its own custom guide for ease of use, and after users finish scanning an object, there are various playful options. Users can share scans with friends on messenger apps[iii] using 3D stickers or upload the scans to the 3D community (such as Sketchfab). Users can make the scan come alive by using it to create an avatar for use in the camera AR effects options, third-party apps, as a live wallpaper, or even send scans to a 3D printer to create a memorable keepsake. Within the 3D Creator apps, users can also choose the “Find More” button that takes them to even more possibilities available through Google Play to explore a wider and ever-growing 3D ecosystem. Rounding off the premium camera experience is the first-class 13MP front camera with Sony Exmor RS®ISO6400 and a display flash for taking outstanding selfies in any light. Xperia XZ1 boasts an abundance of enhancements to optimize users’ entertainment experiences, including the 5.2” 1080p Full HD HDR display that produces crisp, clear images and videos even outdoors. With the HDR (High Dynamic Range) and 5.2” Full HD display, Xperia XZ1 is ideal for streaming HDR video from leading entertainment platforms, including Netflix and Amazon. [iv] Using Sony’s BRAVIA TV technology, Xperia XZ1 brings more color and contrast for immersing users in their favorite shows and movies in stunning realism. Further technologies, including TRILUMINOS™ Display for mobile, X-Reality™ for mobile, and Dynamic Contrast Enhancer, work together to deliver razor-sharp, detailed and brighter images on screen. Xperia XZ1 also comes with a host of the latest Sony audio innovations, including S-Force Front Surround Sound and dual front-facing speakers, bringing users 50 percent more sound pressure[v] than previous Xperia models for an awesome sound even when users decide to listen without headphones. Other advanced audio technology includes SmartAmp (which minimizes prevents speaker degradation over time) and High-Resolution Audio, enabling users to enjoy every nuance and detail in a track as if users are right there with the artist. Plus, the built-in Digital Noise Cancelling (DNC) technology reduces exterior noise by up to 98 percent when paired with DNC headphones for undisturbed listening. Xperia XZ1 is powered by the cutting-edge Qualcomm® Snapdragon™ 835 Mobile Platform with X16 LTE, designed to provide blazing-fast Gigabit LTE downloads speeds (up to 1Gbps) and performance to enjoy a modern lifestyle while users are working or having fun. The Snapdragon 835 Mobile Platform is engineered to support stunning graphics, smooth performance and enhanced battery efficiency. Xperia XZ1 is also the first smartphone to ship with Google’s latest Android 8.0 Oreo™. The device is perfect for smooth, responsive gameplay of users’ favorite PlayStation®4 games using PS4 Remote Play. 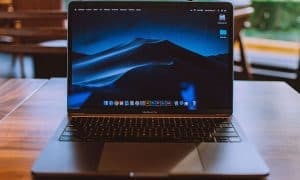 File transfers are also super-fast thanks to the USB 3.1 connection, which is 10 times quicker than USB 2.0 with a transfer speed of up to 5Gbps. Every aspect of Xperia XZ1 is encased in a timeless full-metal design constructed with Sony craftsmanship. The exterior has Sony’s signature flagship loop surface with a seamless body for a premium, understated look and refined feel. The water-resistant[vi], dust-proof design is built with active usage in mind, and has been constructed with a full body joint structure that’s strong against any twist and bend. Xperia XZ1’s display is reinforced with durable Corning® Gorilla® Glass 5. Wrapping up the premium design are four new colors, each inspired by natural light and the beauty of the changing tones of morning: Moonlit Blue, Venus Pink, Warm Silver and Sony’s classic Black. Xperia XZ1 Compact is the latest in a line of industry-leading compact smartphones from Sony. Taking the compact smartphone category to a new level, Xperia XZ1 Compact is the first smartphone of its size to feature the state-of-the-art Motion Eye camera system consisting of a powerful 1GB memory-stacked camera sensor that delivers the ability to create incredible Super slow motion videos at 960 fps. Also like the Xperia XZ1, the camera on Xperia XZ1 Compact features 3D Creator and comes with Autofocus burst for rapidly capturing continuous motion at 10 fps while remaining in focus at 19MP resolution. The 8MP front-facing camera on Xperia XZ1 Compact comes with an industry-leading super-wide-angle 12mm lens with 120° Field of View (FoV) for taking selfies that tell a more complete story by capturing more people and more of the surrounding scene. Users can easily switch to an 80° normal angle with a single on-screen click. The front-facing camera also features display flash for snapping beautifully clear selfies even in difficult lowlight conditions. Sony is renowned for its unique audio innovations and Xperia XZ1 Compact does not compromise despite its size, packing the latest Sony audio-enhancing technologies such as SmartAmp, Hi-Res Audio, DSEE HX upscaling, LDAC, Digital Noise Cancelling (DNC) and ClearAudio+. Like Xperia XZ1, the Compact features S-Force Surround Sound and dual front-facing speakers, which have 50 percent more sound pressure than previous models to enjoy unprecedented sound quality. Xperia XZ1 Compact is powered by the leading-edge Qualcomm® Snapdragon™ 835 Mobile Platform. With download speeds of up to 800Mbps, Xperia XZ1 Compact lets users download an episode of a TV series in 30 seconds[vii]. It features battery capacity of 2700 mAh (the same as Xperia XZ1). XZ1 Compact comes in a 4.6” HD Corning® Gorilla® Glass 5 display encased in a durable reinforced water-and dust-resistant v glass fiber body featuring diamond cut metal edges for improved connectivity. Xperia XZ1 Compact comes in four beautiful colors: Black, White Silver, Blue and Twilight Pink. Finally, Sony Mobile introduces the latest addition to its super mid-range family, Xperia XA1 Plus. Offering best in class entertainment in the palm of the consumers’ hand, it features a 23MP camera, 5.5” Full HD display and immersive audio performance with Sony technologies. Bringing a vibrant choice of three colours, Gold, Blue and Black, to express ones individual style, Xperia XA1 Plus features a rounded, sleek design with narrow borders. All this is powered with all day battery thanks to its large capacity and Stamina Mode and with power efficient performance to keep everything running smoothly and quickly with its octa-core processor. [i] Xperia XZ1 offers up to 1Gbps based on Gigabit Class LTE Cat 16, dependent on market availability and compatible network. Xperia XZ1 Compact offers up to 800Mbps based on Cat15, dependent on market availability and compatible network. [ii] Xperia XZ1 and XZ1 Compact feature a memory-stacked image sensor capable of directly capturing slow motion video at 960 frames per second in High Definition (720p) using device hardware. Verified by Strategy Analytics’ SpecTRAX Service against the published camera sensor specifications for over 11,000 smartphones. Correct as of 11/8/2017. In a Super slow motion sequence, this camera captures 0.184 seconds at 960 fps for a playback of 5.9 seconds each time. [iii] Messenger apps require download from Google Play. Subject to individual terms and conditions. May require fees, registration and credit card information. [iv] Requires HDR compatible content from supported streaming services, such as Netflix and Amazon Video. Network services, content, and the operating system and software of this Product may be subject to individual terms and conditions and changed, interrupted or discontinued at any time and may require fees, registration and credit card information. [v] 50% more sound pressure than previous Xperia devices. [vi] Xperia XZ1 and XZ1 Compact are water resistant and protected against dust, so don’t worry if you get caught in the rain or want to wash off dirt under a tap water, but remember all ports and attached covers should be firmly closed. You should not put the device completely underwater or expose it to seawater, salt water, chlorinated water or liquids such as drinks. Abuse and improper use of device will invalidate warranty. The device has been tested under Ingress Protection rating IP65/68. For more info, see http://www.sonymobile.com/waterresistant. 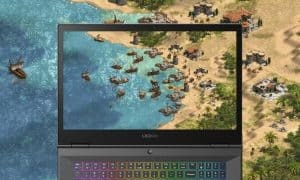 XZ1 and XZ1 Compact have capless USB ports to connect and charge. The USB port needs to be completely dry before charging. [vii] Up to 800Mbps, dependent on market availability and compatible network.